Blue diamonds are incredibly rare stones, and each is unique in terms of hue, clarity, carat weight and value. Because of their beautiful color and scarcity, they’ve become a marvel at auction and can come with some pretty heavy price tags. They are so rare that according to the Natural Color Diamond Association, there is only one natural blue diamond on the market for every 100 Picasso paintings up at auction. Blue diamonds are created by the presence of boron, a metalloid chemical element that introduces itself to the crystal lattice structure during the diamond’s growth. On Earth, boron is much less abundant than elements like nitrogen, which is what's responsible for the yellow hue in other diamonds. Boron also is also present in higher quantities closer to the surface of the Earth whereas diamonds are formed deep in the Earth’s mantle where boron is exceedingly rare to find. Hence the rarity of blue diamonds. So how rare is “rare”? 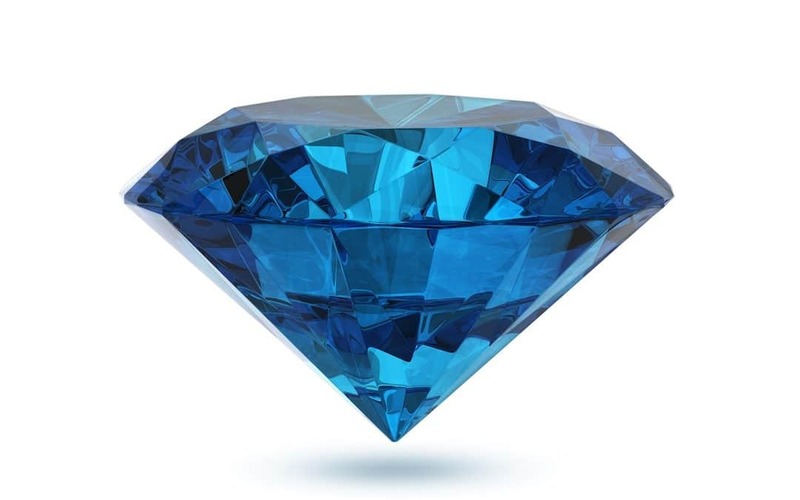 Well, blue diamonds comprise only around 0.0001% of the world's diamond supply. Of this tiny fraction, only about 1% are classified as Fancy Vivid, helping to explain the Oppenheimer's almost unfathomable price tag when it recently sold at auction. Fancy Vivid stones are described as medium to dark in tone and strong to very strong in color saturation. 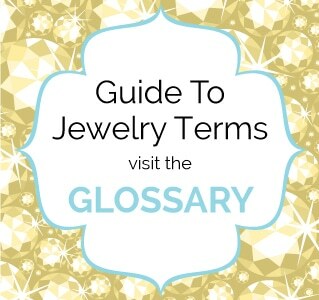 They are second in rarity only to red diamonds, of which there are only around 100 known recorded stones in the world. 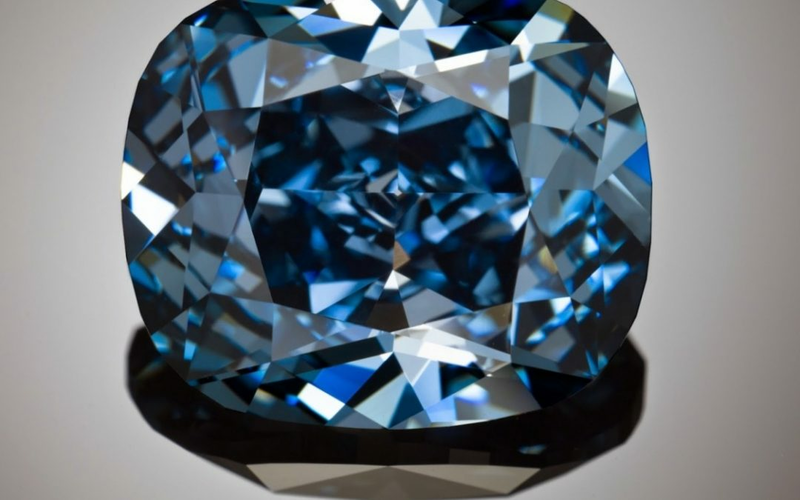 Most blue diamonds are Type IIb, meaning they have no nitrogen impurities and there fore show a pure blue color without any secondary yellowing influence. 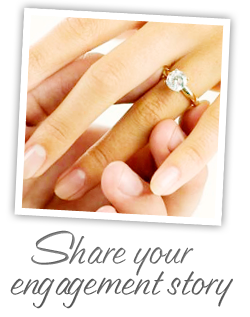 Less than one-tenth of a percent of all fancy colored diamonds are Type IIb blues. Some Type Ia blue stones have been found, but these stones are often a greyish blue, or sometimes a pale greenish hue. The escalation of price for blue diamonds over the last several decades has motivated owners to seek sale opportunities. As a result, we are now seeing diamonds sold at public auctions after being held untraded for many years. In fact, two high-profile blue diamonds have recently been sold at auction. 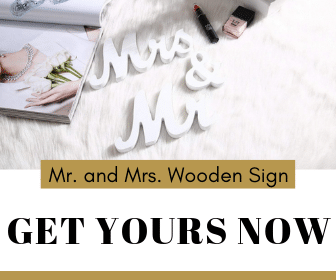 The sales themselves generated a flurry of media attention around the globe and much public discussion, which has further energized the market for these incredibly beautiful and coveted gemstones. Unless you happen to have millions of dollars lying around, chances are you won't be able to purchase your own vivid blue. But don't despair! It is possible to get lesser type blue diamonds for a relatively lower price, and though they're not the truest blue of a fancy vivid, they are still beautiful stones! And lucky for you they won't hold nearly the jaw-dropping price tag that comes with a flawless Fancy Vivid. Blue diamonds have been a remarkable investment for collectors over the years. The Natural Color Diamond Association recently reported that prices for natural blue diamonds have gradually and consistently increased 12-17% every year over the past decade, regardless of the hue. As far as designs go, the shapes the diamonds take can vary. 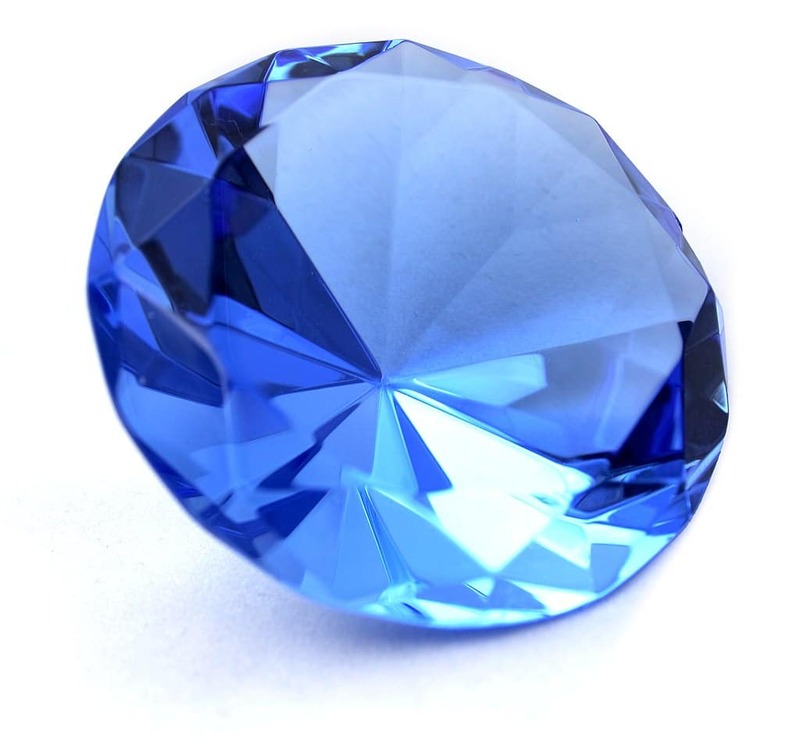 Many, such as the Imperial Blue and the Winston Blue, are pear-shaped; however, some like the Hope Diamond are oval. 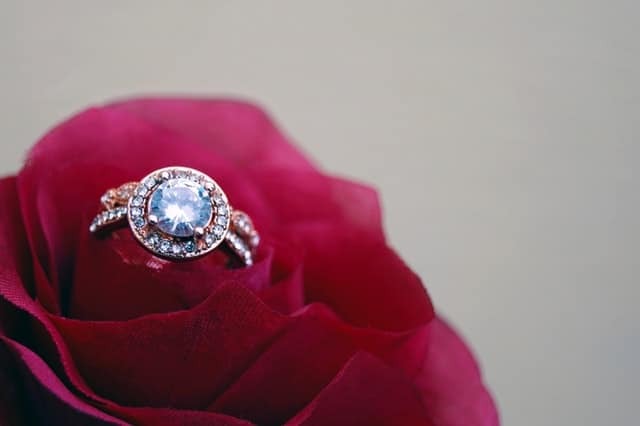 Another variation in the designs the diamonds may take is whether or not they've been incorporated into jewelry, such as the Blue Heart which at one point was the center stone of a ring. Older stones have passed through many hands, even at times being incorporated into family jewels of different royal families. Stones in private collections or on display in museums, usually, are by themselves, letting their beauty of the stone speak for itself. The primary source of blue diamonds is the Cullinan mine in South Africa, majority-owned by Petra Diamonds. The mine dates back to 1903 and has yielded some of the finest diamonds on the planet, including the legendary Cullinan I and II, which are now part of the British crown jewels. Other mines that have produced blue diamonds include the Golconda mine in India, the Letšeng mine in Lesotho, and the Karowe mine in Botswana. Chief among them is the legendary Hope Diamond. The true origins of the 45.52 carat Hope Diamond remain shrouded in mystery, but most experts believe the stone originated from the mid-1600s and was most likely unearthed in India. Since that time it has endured a long and fabled history. Tragedy and death struck anyone who possessed it. The Hope Diamond was donated by Harry Winston to the Smithsonian Institute in 1958 when he mailed it to the institute wrapped in brown paper through first-class registered mail. Found in the Premier Mine in 1908, The Blue Heart is a whopping 30.62-carat Fancy Deep Blue. After several owners, Marjorie Merriweather Post purchased the ring from Harry Winston and donated it to the Smithsonian. Despite no evidence existing that the empress ever owned the diamond, it is sometimes referred to as the “Eugenie Blue.” The record selling prices of blue diamond now place the stone at a value of $61 million. Another famous blue diamond is The Tereshenko- a 42.92-carat pear shape stone whose origins are unclear. The stone was named after its owners, the Tereshenko family, who were sugar barons in pre-communist Russia. On the eve of the Russian revolution in 1916, the stone was smuggled out of Russia and passed into private ownership. In November 2014, the stone came up at auction. Within 40 seconds bids were more than double the pre-sale estimate and went for a total of 10 million Swiss francs. "The Oppenheimer Blue," The world's largest blue diamond and an extremely rare gem known as, sold for $57.5 million, making it the most expensive diamond ever to be sold at auction. It was named after its former owner, Sir Philip Oppenheimer, who was a diamond dealer and whose family owns the influential diamond company De Beers. The Oppenheimer stole the title of world's most expensive diamond from the 12.03 carat "Blue Moon of Josephine," which held the previous record at $48.4 million. The 31.06 carat Wittelsbach diamond is believed by some to come from the same piece that yielded the Hope Diamond. Its origin can be traced back to the same time period and most likely originated from the Golconda mines of India, which were the primary active diamond mines at the time. Numerous members of European royalty have had ownership of the diamond where it was eventually incorporated into the Bavarian crown jewels. 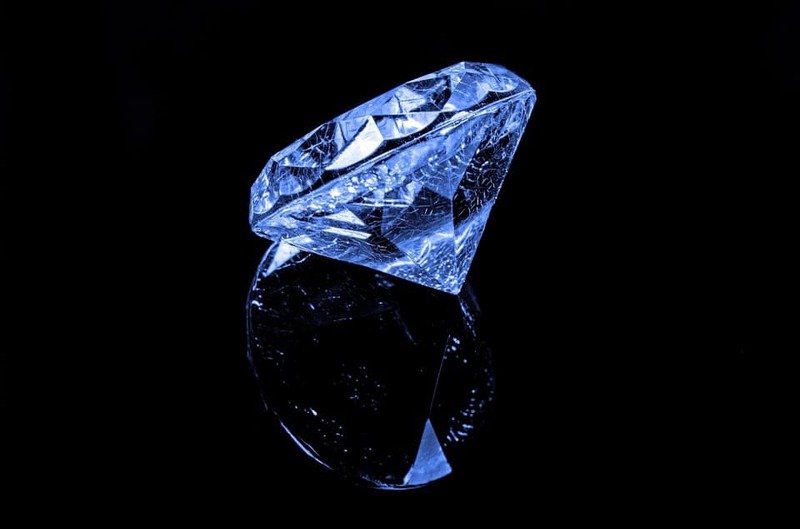 The stone disappeared after Bavaria became a republic but resurfaced again in the 1960s when a Belgian diamond cutter was tasked with re-cutting the legendary diamond. It would again disappear from the public eye, only to resurface in 2008 when it was purchased at auction. Its new owner took the step of re-cutting the diamond further, which ultimately produced a stone that was 4.52 carats smaller than the original. However afterward, the Wittelsbach-Graff would emerge a fancy deep blue internally flawless masterpiece. Discovered in the Premier Diamond Mine in South Africa, The 27.64-carat Heart of Eternity is a vivid blue that was unveiled in January 2000 as part of the De Beers Millennium Jewels collection at London’s Millennium Dome. It appeared secondly at the Smithsonian. If offered at auction to a private collector, the estimated price would be more than $3 million per carat or $80 million total! The Winston Blue, a fancy vivid blue diamond, is a 13.22 carat pear-shaped stone. It purchased by Harry Winston in 2014 for $23.8 million and set a world record for the highest price per carat of any colored diamond. Like most diamonds on this list, the origins of the Winston Blue are unknown, but it is thought to most likely be discovered somewhere in South Africa. Blue diamonds are one of the rarest fancy color shades, eclipsed only by red and purple, and they have captivated anyone lucky enough to gaze upon them for decades. Just from looking at pictures of these incredible stones, it's no wonder why. Because of their beautiful hue and extreme rarity, they've been in high demand from collectors and royals alike. And when they do make it to auction, they sell for millions of dollars. The incredibly high market demand for these diamonds now has stones on the market that have been held in private collections for years. And these diamonds end up in a variety of places. Can't afford to buy one yourself? Many are held in the possession of museums so for just the price of admission you can see one for yourself. They've also been incorporated into royal family jewels, and while some may still remain in royal possession, others have fallen in and out of obscurity as political unrest erupts. One thing is for certain: the incredible beauty and even more astounding rarity of these stones will keep awing collectors and enthusiasts alike for decades into the future and beyond.